Almost all Android devices comes fully equip with an inbuilt goggle play services, and goggle play store, but lately most chinese Lenovo are lacking these features, replacing them with some apps that are not really friendly with users. First of all check your current google version of the play store your about to download. The first thing you’ll want to do is, to see which version you have, so you make sure you download Google Play Store’s latest version. This can be done by opening your Google Play Store app, and then navigate to the settings menu. At the bottoms you’ll see built in number. That is the version of your google play. Before attempting to update goggle play store, make sure that you are certain that the version of your Android device is compatible with the latest goggle play store version your about to upgrade to, although this might not really be a problem unless you are flexing an ancient version of Android like Gingerbread — which in that case, is time to replace that phone!. How to install goggle play store. 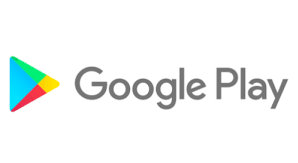 If you’re android didn’t come with the goggle play store inbuilt, then you will need to follow the following, steps to download Google Play Store via an APK. These steps are easy and simple. Since the Google Play Store comes in APK format like any other Android app, so what you will do is to download only the Google Play Store APKs from trusted sources (the big Android blogs, tech blogs, and trusted people on social media, depending on your choice of sites). If you download from sources you don’t really trust then they may have tampered with the APK which is not really good news. You’ll want an APK that is endorsed by Google and it is only trusted websites that will upload, a copy that hasn’t been tampered with. How to install Google play store. To install google play store, Tap on settings >>> navigate to “Security”. Find the Unknown Sources option and check the box. A warning will pop up which you should totally read. Once done, hit “OK” and this will enable you to install APKs from Unknown Sources. The Unknown Sources settings is a part of Android device that regulates and moderate user to install genie apps from trusted source since the development of android devices. When you disable it, it will prevents users (and other apps) from installing applications from anywhere, aside from the Google Play Store. It’s a security measure that is put in place, by default and you’ll have to enable the setting in order to install an APK. Now that we’re all set to go it’s time to install this thing. Use your favorite file browser. For those who may not have one, I recommend you download and install ES File Explorer. Open your file browser and navigate to wherever you downloaded the Google Play Store APK. If you downloaded it on your device then it will be on your SD card in the Downloads folder. Once you find the APK, click on it. A box might likely, pop up depending on the apps you have installed on your device asking which app you want to use. So then just click “Package Installer”. Examine very well any permission changes and read over it carefully, if any, and then click install. When the installation is done, the latest Google Play Store will be installed on your device. You now know step by steps on how to download and upgrade your Google Play Store to ensure that you have the latest version. These steps will work good for you, on almost any Android device but there may be slight changes depending on your Android version. ← How to Manage Your Workforce. That's grate. previously i an getting error and here i got the solution to install this app. Thanks for the guide. I am looking for this because one of my android phone showing error.